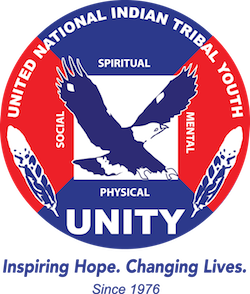 Navajo Nation Youth Advisory Council Present at National Conference – UNITY, Inc.
Angel Hicks, an officer with the Navajo Nation Youth Advisory Council (NNYAC), spoke last month to dozens of attendees at the 2018 National Tribal Youth Conference in Palm Springs, California about the importance of a tribal youth council. Hicks highlighted efforts of the NNYAC as a way to combat violence, substance abuse, suicide and strengthening community through personal and civic responsibility. The youth council’s top priorities are public safety/victimization, civic duty, health and wellness, and educating peers about culture and self-care. Hicks says she applied to be part of the NNYAC because she wanted to be a voice for the youth in her community. She witnessed domestic violence as a child and says the youth council helped her deal with the trauma she experienced. “lIf you can heal, you will help others heal,” she said. Navajo Nation leaders created the NNYAC last spring and designated appointed youth leaders to serve as youth advisors for all three branches of the Navajo Nation government. Hick says the youth council provides a platform for youth to express and voice their concerns, to call awareness to issues impacting youth, and to engage with leaders and decision makers of the Navajo Nation. The NNYAC is in the initial stages of affiliating with the National UNITY Council.